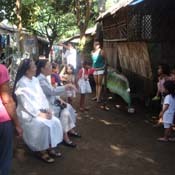 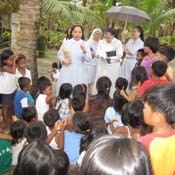 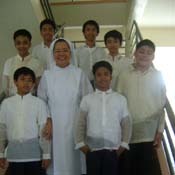 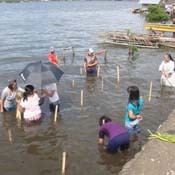 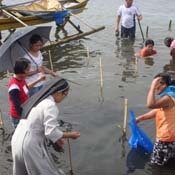 The Missionary Benedictine Sisters of Tutzing in Tacloban have always been involved in the health sector of society in Eastern Visayas or Region VIII. 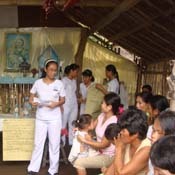 Since 1965, these Sisters have managed and administered efficiently the Divine Word Hospital, the largest tertiary care health institution in this part of the Philippines. 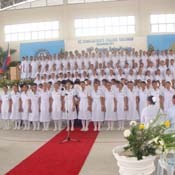 This hospital also serves as a training institution for students in medicine, nursing, medical technology and other allied health courses. 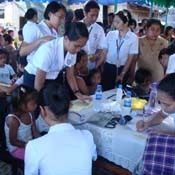 With the rapid turn-over of health professionals who opted to work abroad and the closure of Divine Word University of Tacloban in 1995, Divine Word Hospital experienced a set-back in its health services especially those given by competent nurses. 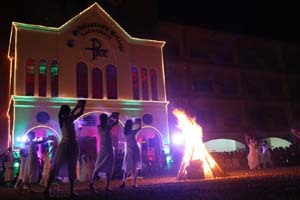 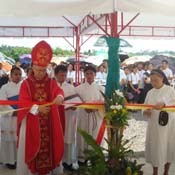 Thus, the Missionary Benedictine Sisters of Tutzing in Tacloban came with the idea of establishing a college of health sciences. 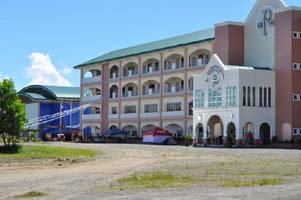 On April 11, 2000 St. Scholastica’s College Tacloban (SSCT) got its permit to open First year courses in Bachelor of Science in Biology, Medical Technology, Nursing and Pharmacy. 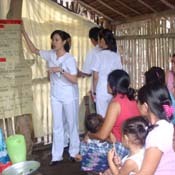 Following a previous CHED Memorandum on the implementation of the Associate in Health Science Education (AHSE) curriculum in the first two years of health science programs in the Philippines, the courses in Medical Technology, Nursing and Pharmacy became AHSE – Integrated. 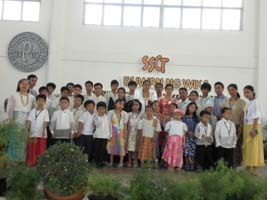 Finally, on a Monday morning of June 5, 2000, SSCT formally opened to 336 male and female first year students composed of 32 in BS Biology, and 304 in the two years AHSE who were further classified as AHSE-Medical Technology (95), AHSE-Nursing (107) and AHSE-Pharmacy (102). 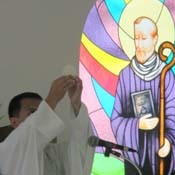 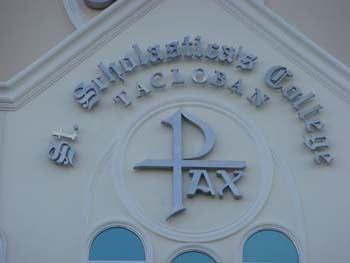 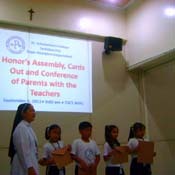 The Benedictine motto of “Ora et Labora” (Prayer and Work) inspired the Scholastican community in Tacloban to achieve excellence in Christian Formation, Quality Education, Community Extension, and Research and Publication. 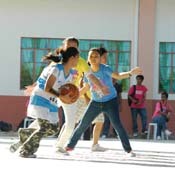 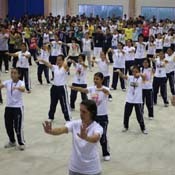 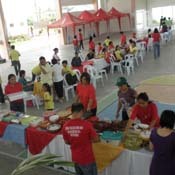 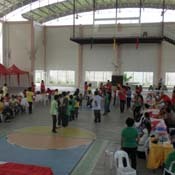 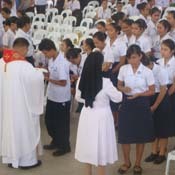 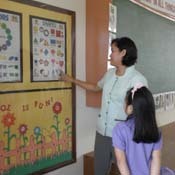 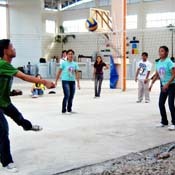 The commitment of the college to provide quality Catholic education in Eastern Visayas is already established. 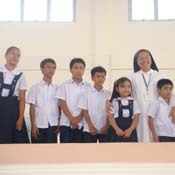 It will continue to strive for excellence and create a balance in achieving its vision and mission, summed up in its four thrusts of Christian Formation, Quality Instruction, Community Extension, and Research & Publication.